As soon as you start up Maps, the new interface will have a couple of specific changes standing out. 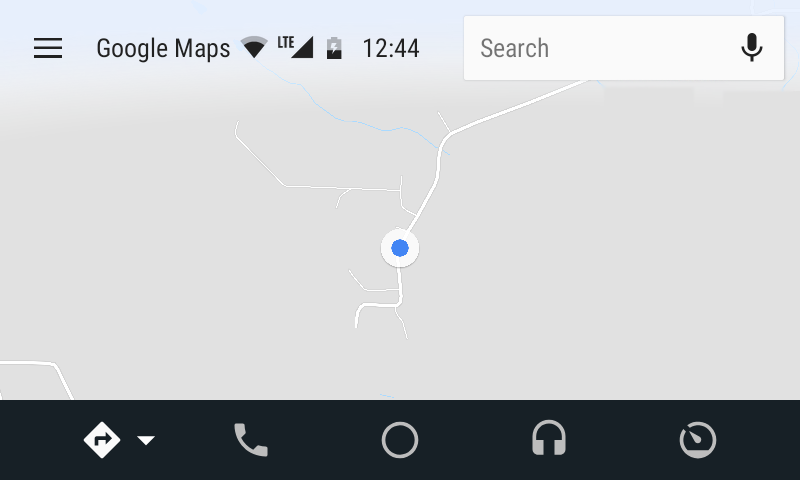 The first is that the search bar has switched sides and now appears to the far left, while all of the status icons have shifted over to the right. Notably, the microphone remains firmly planted at the top right corner. 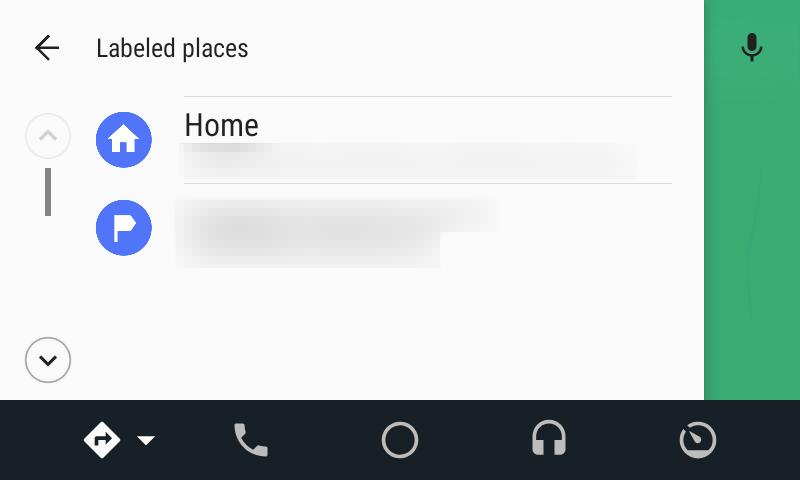 The hamburger menu is gone, and now there's a Settings button floating at the bottom left of the screen. 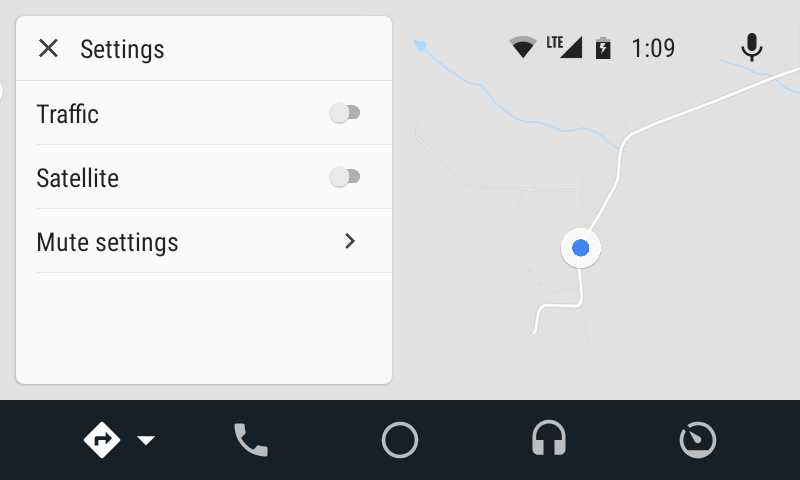 Tapping on the Settings button isn't much like the old navigation menu. 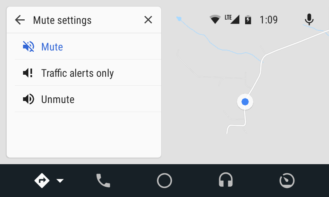 You'll get options to show Traffic and Satellite views, both of which were previously found in the second page of the hamburger menu, plus Mute options. 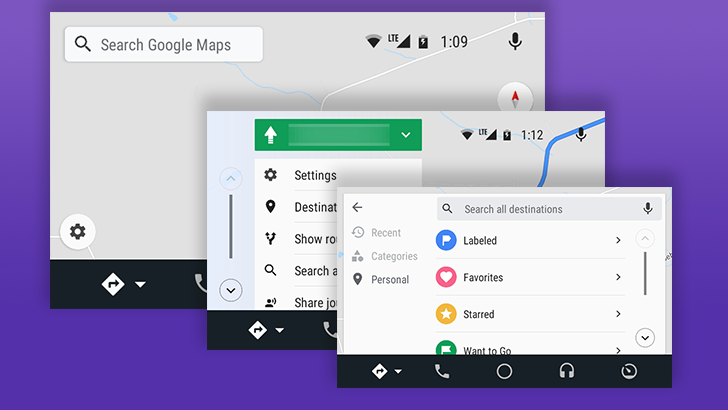 However, you won't see any of the navigation or mapping features here. 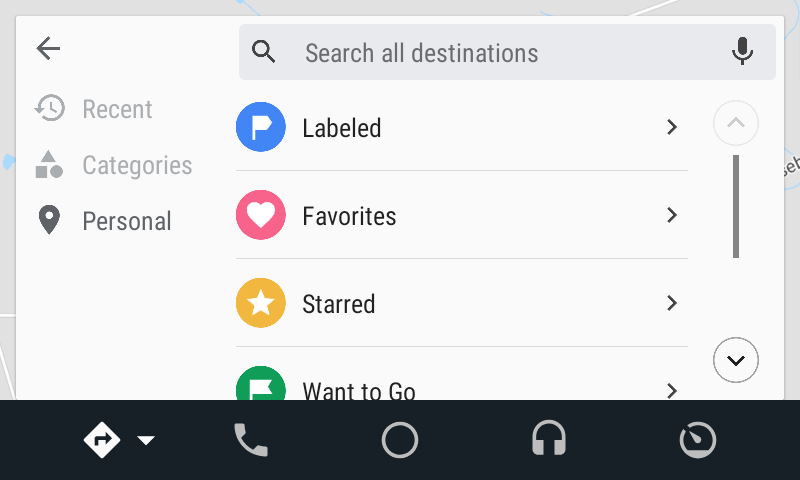 If you want to navigate anywhere, you'll now tap on the search bar. It will expand to include three tabs on the left: Recent, Categories, and Personal. 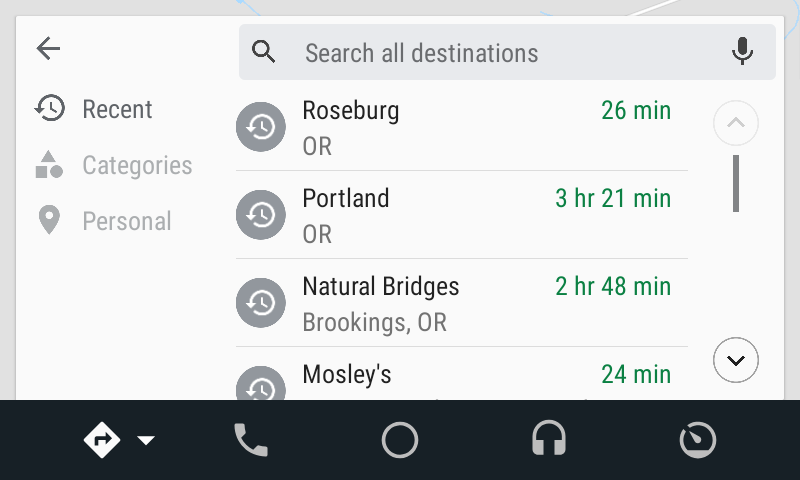 Recent is pretty obvious, and Categories includes the standard set of common destinations you might need while driving, like gas stations and restaurants. 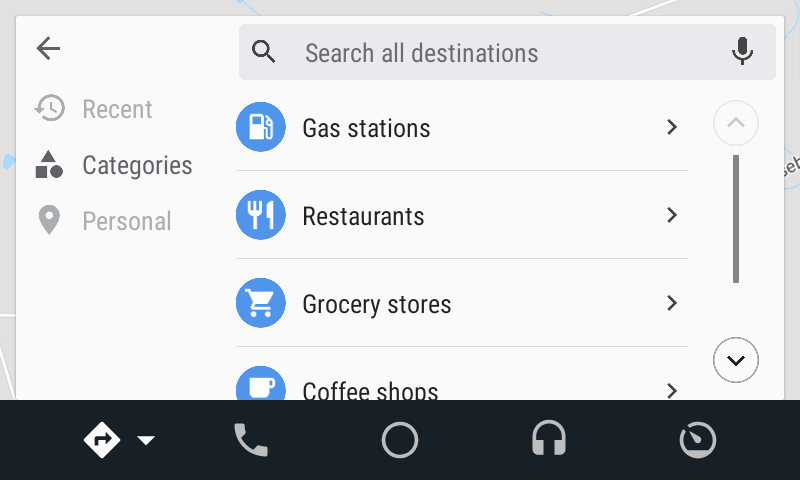 The Personal tab includes all of the different types of lists you may have created in the Maps app, like Favorites, Starred, and places you want to go. Some of these lists weren't accessible in the old interface. 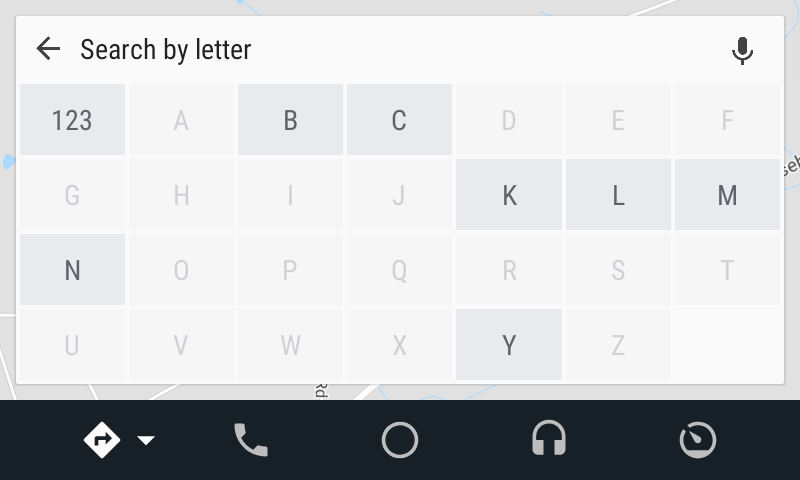 Lists are now allowed to take up the full width of the screen, so you'll have a better chance of seeing a full address or name. 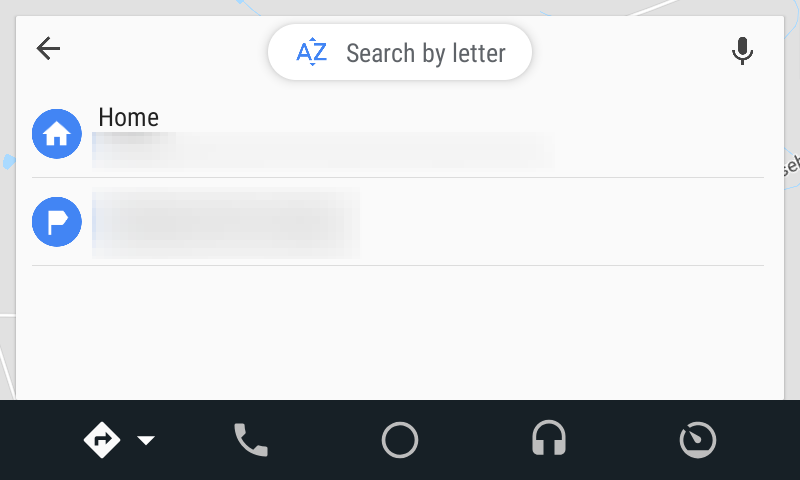 There's also a button at the top of the screen that opens a limited keyboard to search by letter, which basically just jumps to the right position in the list. The difference between the old and new navigation mode doesn't look that significant. A few things are positioned a little differently to give a little more space to the map, but that's about it. 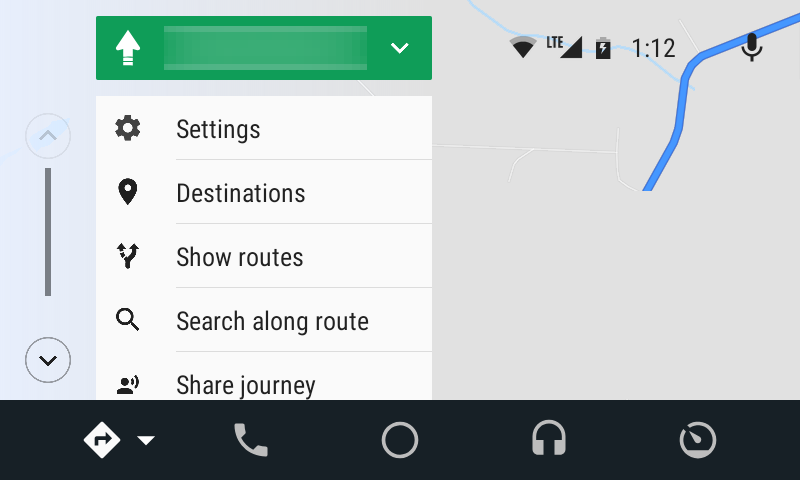 The action menu that's available while navigating has changed order a bit, placing the Share action at the bottom. 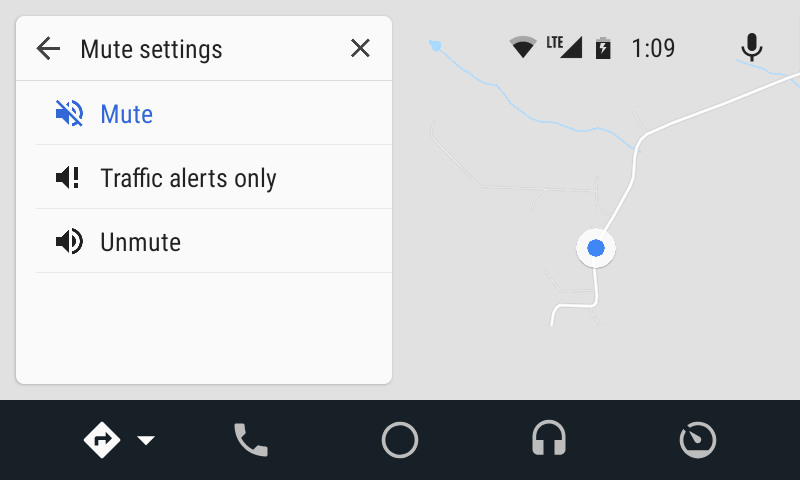 It also now includes a Settings action, which opens the same Settings screen shown earlier. However, it is notable that the hamburger menu is also removed from navigation mode. This means you won't be able to pull up a list of contacts or recent destinations. 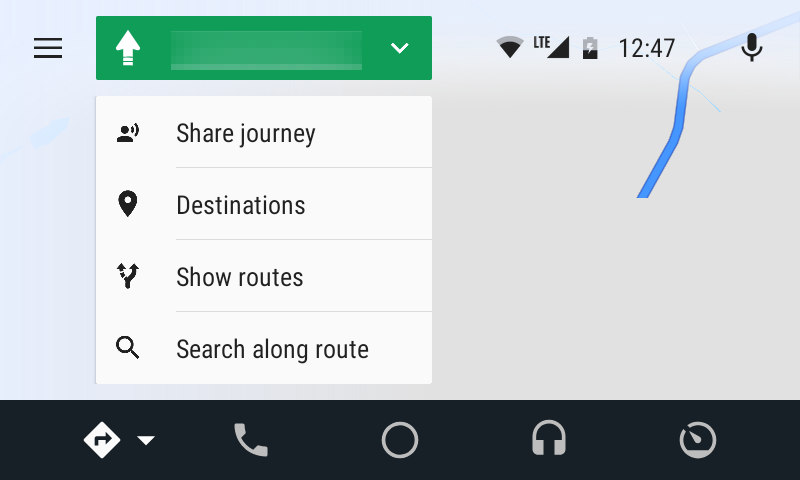 You can still search along your route using the action menu, but the only way to get back to any other lists is to end your current navigation route and then tap the search bar again – or use voice commands like you're supposed to. Overall, the changes look better and are a little more logical. 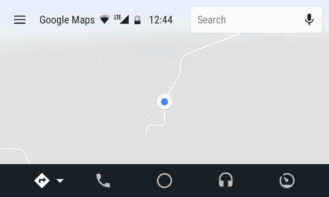 This will probably take a little while to get used to, and since it's a new interface, Google may still tinker with it as issues are discovered, but this one will probably be around for a while. If you're not seeing the new look, don't worry. Google appears to be rolling this out to a limited set of devices for now, so you may not be on the list quite yet. 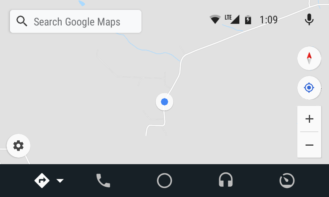 I had two phones running matching versions of Maps and Android Auto, but one was on the old UI while the other was on the new one. 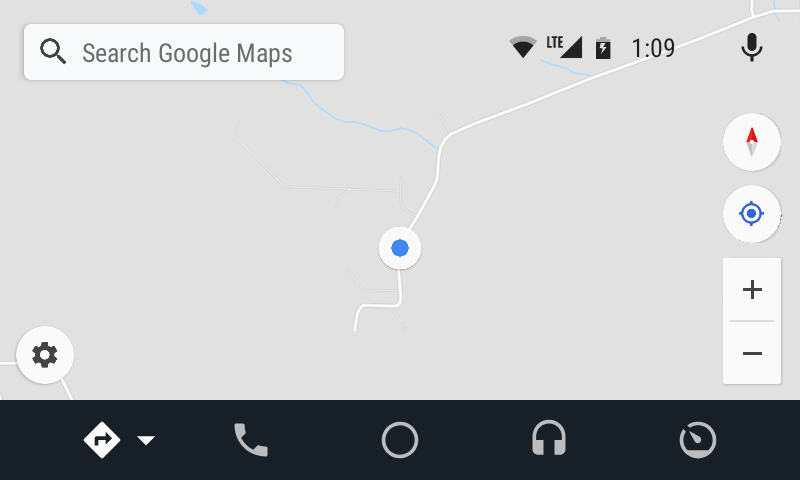 Of course, it's always a good idea to be on the latest versions of Maps and Android Auto if you aren't already.